What does it take to shift physical, emotional and mental patterns that keep us from living a full and magnificent life? TANZA – an opportunity to experience a total transformation: Body-Mind-Spirit. 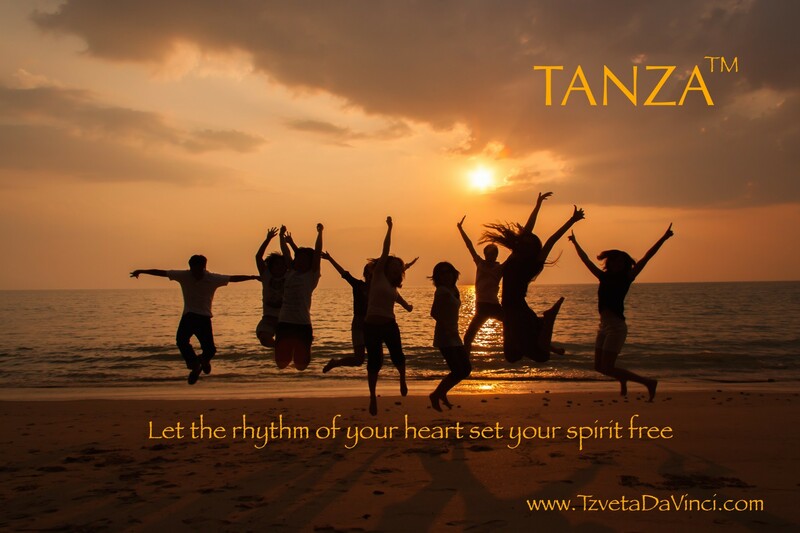 TANZA – a fusion of free movements, laughing and shaking: It is a synthesis of intention, breath work, Kundalini rising, and guided meditation that together activate the body’s energy forces, creating a total shift in our lives. Experience a profound physical, emotional and mental detox. Wear comfortable clothes so that you can move freely. Bring a small towel and plenty of water for your transformation work. Bring a light blanket for the meditation, and a note pad for recording the gifts and messages you may receive during your journey. And, last but not least, bring a willingness to shift and transform. Feel free to send me an email with any questions or concerns you may have.